Friends whom I met many years after graduation, their daughter graduated high school yesterday and we went for the celebration at their home following. I had RSVP’d (which no one ever does any more and that drives me crazy) with a maybe (on Facebook event invites you can respond with a maybe). When we pulled into the drive, no one recognized my vehicle as they hadn’t seen the new one. Then it dawned on them who it was. JB sent his daughter in to tell his wife, KB, that someone was there to see her. She came out and came running across the yard when she saw me. We both cried as we hugged. It had been way too many years between visits. However, we always know that the other is there for any need whatsoever. As people came in and out to wish the graduate congratulations with a hug and a card, a couple came up the drive and she looked at me and said ~ what are you doing here? I smiled and said ~ we’ve been friends for over 20 years. The lady who had asked me the question, was classmate of mine! Her daughter and the graduate yesterday are dear friends! AB and I hadn’t seen each other since our graduation 26 years prior! We sat with our husbands and ate and talked like no time had passed. 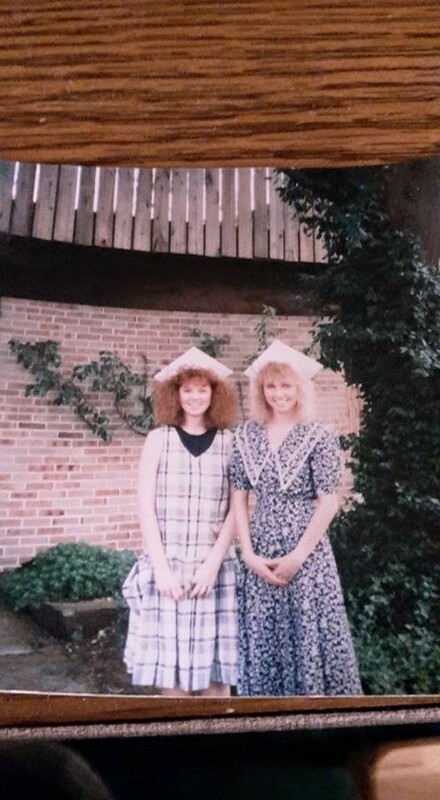 Growing up in a small town…. there is something to be said for it. I named all of our classmates that I still see or that our kids are in the same grade/school. At the end of the conversation, I think they were ready to come back “home”. My point, small towns have a lot of the same qualities and quirks, everyone knows your business or THINKS they know, everyone knows your name and who you are, I’m famous for being Lena Belle’s granddaughter, Paul’s daughter, Bub’s sister and Miss M’s momma ~ and you know what, I wouldn’t change it for the world. You make relationships that last a lifetime ~ no matter how many years pass between visits, phone calls, texts or Facebook comments. I love my Small Town Country City Girl life and I wouldn’t change it for anything.